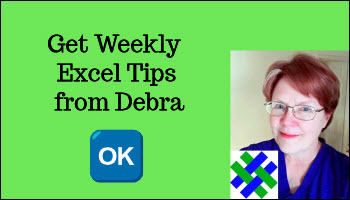 You can use a list from another workbook as the source for a Data Validation dropdown list The following instructions are for Excel 2003 and earlier versions. On the Contextures blog there are instructions for using a list from another workbook in Excel 2007 and later. A master list will be created in one workbook, and drop down lists in a different workbook will be based on that list. You can try these steps in your own workbooks, or download the sample files for this tutorial. If you are using your own file with a master list, substitute that file's name and list name in the instructions below. For instructions on creating a named range, refer to Naming Ranges. 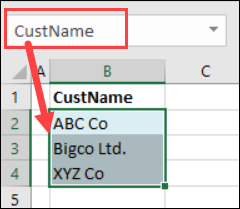 Next, you can create one or more drop down lists, based on the name that you just created. Select the cells where you want the drop down lists. 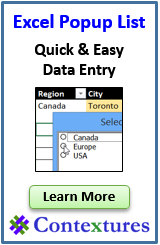 To use the data validation drop down lists, both workbooks must be open. Open the workbook that contains the master list. Select an item from one of the the data validation drop down lists.